The FDA has approved PureTech Health’s ‘space occupying’ device Plenity as a new prescription treatment for obesity, setting it up to rival Novo Nordisk in this lucrative market. 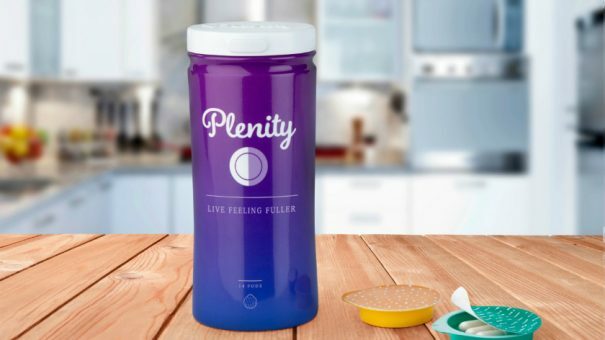 Plenity, developed by PureTech’s affiliate Gelesis and previously known as Gelesis100, is a capsule containing a super-absorbent hydrogel that absorbs water and increases the volume and elasticity of the stomach and small intestine contents to help people feel full. The capsules are taken before lunch and dinner and are designed to prevent calorie intake to aid weight loss. The approval allows the device to be used in adults with a Body Mass Index (BMI) of 25-40 kg/m2. Nearly 150 million adults in the United States fall into this category, and PureTech noted that Plenity is the only prescription weight management product to be cleared for use in adults with BMI as low as 25 kg/m2. In trials Plenity met its primary endpoints with 59% of patients achieving weight loss of 5% or greater. In addition, 26% of patients were “super-responders”, achieving an average of about 14% weight loss or approximately 30 pounds. PureTech said it plans to initiate a targeted US launch in the second half of 2019 and is anticipating that Plenity will be broadly available by 2020. When trial results for the product were announced a couple of years ago, analysts said it could rival Novo Nordisk, the pharmaceutical company whose products have emerged as the biggest selling anti-obesity drugs. In contrast, PureTech said Plenity is considered a medical device because it achieves its primary intended purpose through mechanical modes of action consistent with mechanobiology constructs. The company added that its device has a favourable safety profile, as its active ingredients do not enter the bloodstream, thereby giving it a safety profile similar to placebo. This would give it an edge on Novo’s obesity drug Saxenda (liraglutide), whose possible side effects include nausea, diarrhoea, constipation, vomiting and hypoglycaemia in some patients, and which requires a daily injection. Meanwhile, analysts from Jefferies suggested peak sales of around $500 million, noting this is a conservative estimate given that Novo’s Saxenda could eventually produce sales in excess of $1 billion a year. Gelesis is also developing its hydrogel platform technology for other chronic diseases, such as non-alcoholic steatohepatitis (NASH) and inflammatory bowel disease .